40 cooperation agreements highlight Emirati-Indian strategic partnership … reports Asian Lite News. He added that the historic relations between the two countries share the values of moderation, tolerance, peace and stability, which have strengthened their strategic partnership, through ongoing communication and mutual high-level visits. 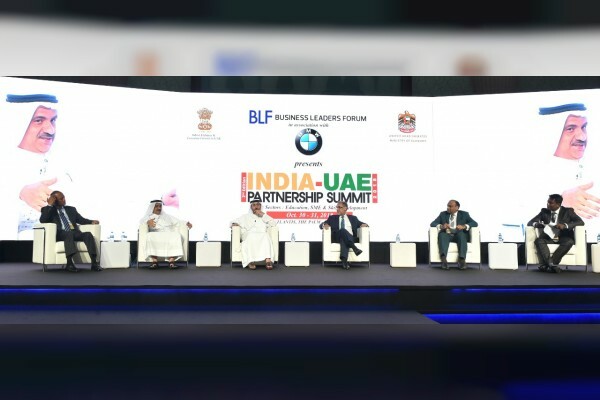 During his speech at the two-day 2nd India-UAE Partnership Summit held in Dubai, with the participation of many public and private sector officials from both countries, Al Jarawan said that the strategic partnership between the UAE and India is witnessing ongoing work, with the aim of generating trade worth US$100 billion by 2020. 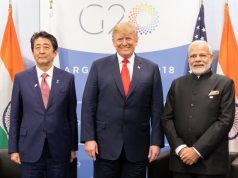 Current levels of trade account for $53 billion, while UAE investments in India account for $10 billion, and the UAE has pledged to provide $75 billion to support India’s infrastructure, as well as $5 billion to the Indian agricultural sector over the next three years, he added. 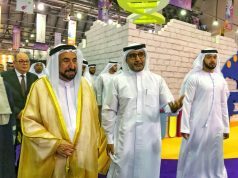 Al Jarawan highlighted the council’s confidence in the ambitious strategic partnership between the two countries, which has all the components of success, as well as a series of investment reforms in India and its monetary policies, financial system and social security. 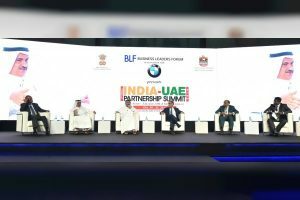 Al Jarawan also expressed his confidence in the growing ties between the two countries while noting that India has become the UAE’s second-biggest international economic partner. A comprehensive strategic partnership agreement between the two countries was signed in January 2017, Al Jarawan noted.